How much does it cost to trim a tree ? There are two ways to get tree trimming services. One is by an arborist and another one is by a lawn care or garden maintenance contractor. If the tree is no larger than 5 meter which means shorter than a single story house, choosing a garden care contractor would be wiser than choosing an arborist. 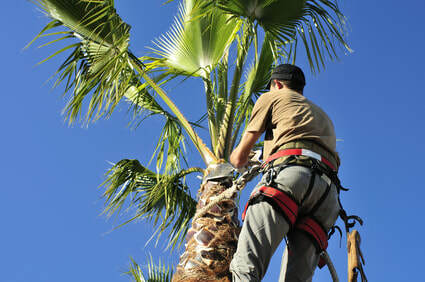 The main reason behind choosing a garden care contractor is the cheaper rates. They usually charge much less than an arborist due to their much lower overheads. So if it’s a very small tree you will save quite a bit, but for anything larger than 5m, you will need to get an arborist in to do the job, as they require the use of specialized equipment. Your local garden and lawn care professionals just don’t have the expertise to carry out very large tree removals. An arborist has much more specialized training and will have a minimum of Certificate III in Arboriculture studies under their belt. Trimming tree price varies from size to size exactly like tree removal. - A small tree which is considered 1-1.5 stories high costs $220-$370. - Medium tree like 2 stories+ high costs around $350 to $550. - Large tree like 3 stories + high tree costs $600-$1000. - And finally extra large tree like 6 stories+ high tree costs around $900 -$1800. Sometimes the total trimming costs increase because of the location of the tree on your property and its accessibility. If there are too many obstacles around the tree, the trimming service people will charge more. The reason is it will take longer to remove. 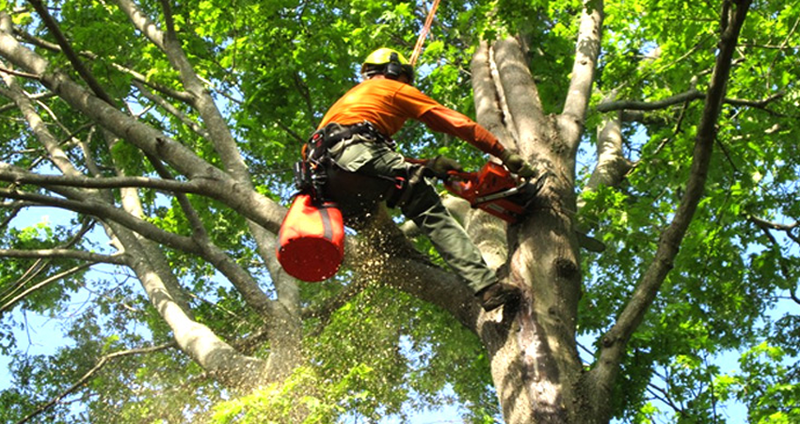 For emergency tree trimming services you can expect to pay roughly double than on a normal day as companies need to drop everything to get the job done. There are different types of trimming styles. Each style cost differently. Canopy lift is a kind of trimming style where the lower branches are trimmed and it cost between $200 and $700. Canopy tinning is another type of trimming style where 10-30% of the Canopy branches are being trimmed. In this style, price differs from size to size. 5m-8m size costs $300-$600, 8m-15m costs $1200-$2000. Pollarding is another kind which is performed on some specific types of the tree which are usually small sized. In this style, the branches are being trimmed to one 3rd of the total size of the tree and left to rejuvenate through the spring. Its prices are like 1m-5m costs $150-$350 and 5m-10m costs $250-$350. And the final one is called Deadwood removal. Its name makes it clear that trimming the dead branches is the main purpose of this style. It needs to be done on a regular basis or the tree becomes a problem for the pedestrians. Its price list is like 5m-10m is $150-$600, 10m-20m is $400-$1200 and 20m+ costs $500-$1500. In the end, it can be said that trimming a tree has a huge variety of prices. As trimming has different styles and types so its price also changes according to those styles and types.